iTunes Could Not Connect to This iPhone. The Error Repair! How can I fix this problem of “iTunes could not connect to this iPhone. the value is missing”. Keep reading! iTunes is one of the most important programs that every iPhone user's do. They can download apps, music, and more by using their iTunes and they can also backup large data from their iPhone device. This is what makes it very important for every iPhone and other iOS users. Truly, iTunes comes very handily in every iPhone user's lives so they can't afford if they experience some errors in connecting to their iTunes program. This can be really frustrating and we are so sure that once you are in this kind of situation, you will be panicking on what you should do so that you will be able to use your iTunes again. Luckily we have gathered some the great solutions that you can actually do on your own because they are very easy to do to and will not take long to fix your iPhone device that is having a hard time connecting to your iTunes program. iTunes is one of the mobile devices management application by Apple Inc., this had been widely used by many users for them to manage their data from their iPhone device. But, there are still instances that when we try to connect our iPhone device to iTunes we receive a message that says "connect to iTunes, a value is missing". This usually appears when we encounter iTunes error. If you are actually having this issue on your iPhone device, then this is for you. Here are some ways on how you can possibly fix the iTunes error you are having trouble with. You can try all these and see if it works on your iPhone device. Once you have encountered a message on your iPhone that says "iPhone value is Missing", putting your iPhone in DFU mode should be on of the most useful way for you to fix this kind of issue. Doing this on your iPhone will help to easily upgrade your iOS system for you to be able to fix some issues on your iPhone device. Here is a step by step method on how to put your iPhone device in DFU mode. Step 1: Launch your iTunes program on your computer and then connect your iPhone to your computer using your USB Cable. Make sure that your iPhone is turned off before you connect it to your PC. Step 2: Press and hold the Home button and the Sleep/Wake button at the same time simultaneously. For older iPhone like iPhone 6s, iPhone 6s Plus, and earlier devices press and hold the home button and the power button at the same time. Step 3: Release the Power Button the Power button of your iPhone after 10 seconds but continue pressing the home button until you see a pop-up message that says "iTunes has detected an iPhone in recovery mode" and then click on the "OK" button. Step 4: If your screen stays black, then that only means that your iPhone device is successfully in DFU mode. Not having your iPhone or your iTunes be in the latest version can somehow be a factor for you to get an iTunes error. This is the reason why you should also check if both your iPhone device and iTunes program is updated or not. Here is how you can possibly check and update both your iPhone and iTunes program. Step 3: After that, click on Check for Updates button found at the drop-down menu and if there is an available update for your iTunes, it will then start the update. BONUS TIP: There are actually instances that you file on your iTunes is corrupted that is why you are receiving a message that says "iTunes could not connect to this iPhone, the value is missing". If it happens that you encounter this, one good way to fix this is to try to uninstall and re-install the iTunes program on your computer. Another reason for this problem is if your restrictions on your iPhone. There is actually a restriction on your iPhone which will be able to restrict you to have an access to your iPhone device. So, if you think that you have turned on restrictions on your iPhone, better turn it off then. If you want to know how you can check and turn off restriction on your iPhone, here's how. Step 3: After that, locate restrictions and if it is turned on, you can just go ahead and simply turn it off. We also have the best way for you fix the issue iTunes could not connect to this iPhone - the value is missing in the fastest, safest and easiest way. Aside from the mentioned above solutions for this kind of issue, you can also try using our very own FoneDog Toolkit - iOS System Recovery program. This third-party program is actually recommended by many tech-savvy and if you use this program, rest assured that everything will be fixed. You might also be asking yourself as to why we need to perform an iOS System Recovery method, right? Well actually, iOS System Recovery is made because there are times that we might experience some trouble using our iOS devices. 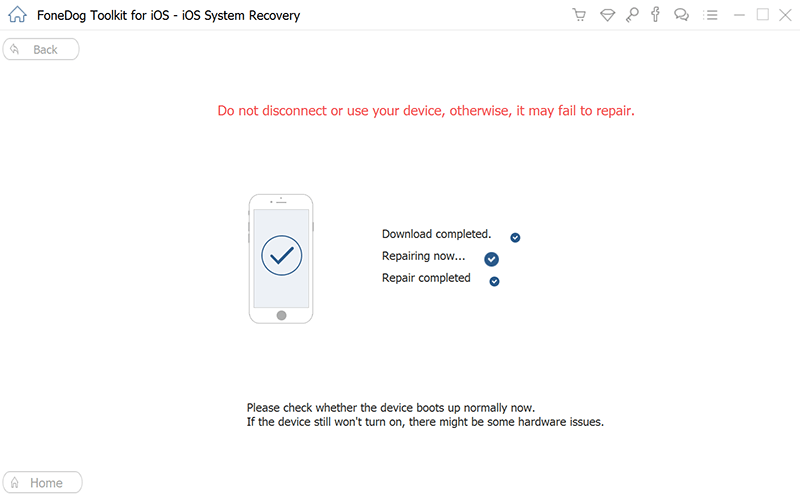 Using the FoneDog Toolkit - iOS System Recovery program is one way to help us get all the issues to get fixed without losing any data from our iPhone devices. To begin with, all you need to do is to Download the FoneDog Toolkit - iOS System Recovery program onyour computer or Mac and of course the iPhone that you are having a problem with. 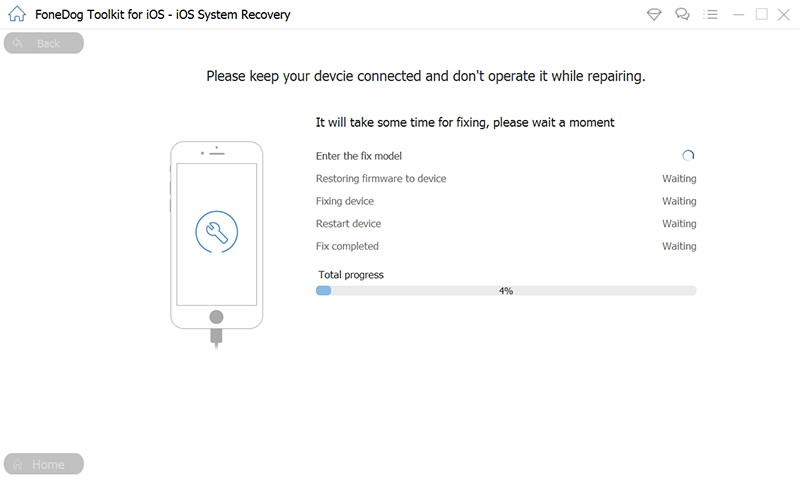 The Fonedog Toolkit - iOS System Recovery program can help you fix various system issues like recovery mode, DFU mode and more. The FoneDog Toolkit - iOS System recovery tool will help you fix any iTune error even the one you are having that says "could not connect to this iPhone the value is missing. Aside from this issue, there are other problems that the FoneDog Toolkit - iOS System Recovery tool can fix. It can also fix iOS devices that are unresponsive or frozen. And it can also fix the White screen of death. Follow the easy steps below to begin fixing your iPhone issue. Go ahead and launch the FoneDog Toolkit on your computer and then connect your iPhone device using your USB cable. After that, wait for the program to detect your iPhone. Once that your iPhone is detected, go ahead and select "iOS System Recovery" from the main interface of the program. After that, go ahead and click on the Start button. For you to fix the abnormalities in the operating system of your iPhone device, downloading the firmware is a must. The FoneDog Toolkit - iOS System Recovery program will then ask you to enter some information needed. The program will ask you to enter the device model, device category, and device type. If you do not have the latest iOS version on your iPhone device, then the FoneDog Toolkit - iOS System Recovery will then automatically download the new version for you. Once you have entered the needed information, go ahead and click on the "Repair" button. Wait until the program is done repairing your iPhone device. IMPORTANT REMINDER: Please make sure that you are going to enter the correct information so that the FoneDog Toolkit - iOS System Recovery program will be able to download the correct firmware for it to fix your iPhone issue. Also, if you were not able to enter the correct information then there is a big chance that your iPhone device will get bricked and we are sure that you do not want that to happen. Once the FoneDog Toolkit - iOS System Recovery program is done with the download, then it will then start repairing your iPhone device. Please do not use your iPhone device during the repairing process because if you do, there is a big chance that your iPhone will get the risk of becoming bricked. Once your iPhone is fully back on, go ahead and try to connect it to your iTunes. 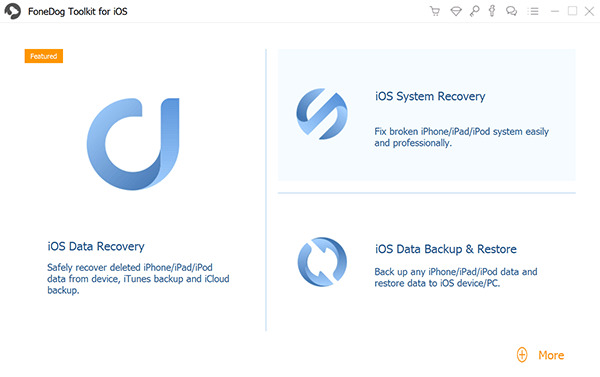 Rest assured that after the repairing process with FoneDog Toolkit - iOS System Recovery program, your iPhone is now able to connect to your iTunes without having any error at all. As what have mentioned above, there are actually different ways on how you can fix iTunes error and we have gathered some solutions that you can do to fix the issue iTunes could not connect to iPhone the value is missing. You can choose any solutions from the above details. However, many users highly recommend our very own software for you to fix iTunes could not connect to iPhone. This is because the FoneDog Toolkit - iOS System Recovery program will surely get those various issues fixed on your iPhone device in no time. And, using the FineDog Toolkit - iOS System Recovery program, all of your data shall be kept safe and secured all throughout the repairing process. Rest assured that no data will be lost or deleted from your iPhone device. 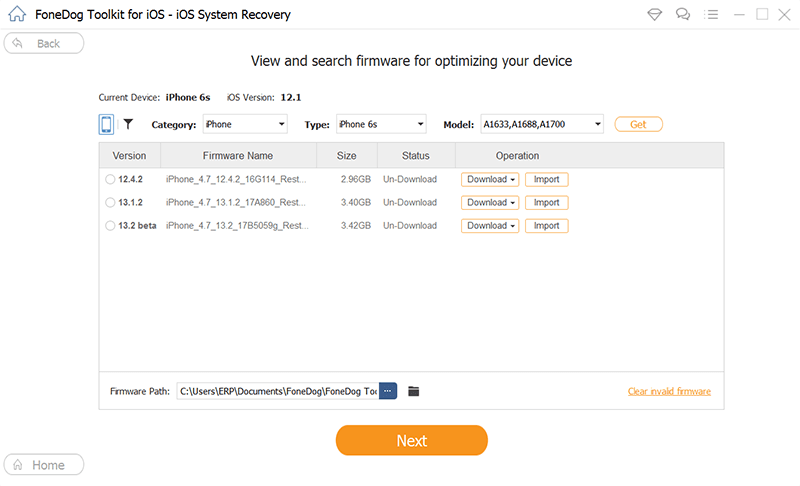 The FoneDog Toolkit - iOS System Recovery program is compatible with any iOS device which includes the new models that just recently came out which is the iPhone 8, iPhone 8 Plus, and the iPhone X. This program also can deal with any iOS version including the new iOS 11. And in the case that you have not yet downloaded and installed the latest iOS version on your iPhone device, the FoneDog Toolkit - iOS System Recovery program will then download the latest version for you. Aside from the fact that the FoneDog Toolkit - iOS System Recovery program can fix the error "iTunes could not connect to iPhone, the value is missing", it can also help you fix other iTunes error like Error 9, Error 3600, Error 21, Error 3014, Error 3194, and more. The FoneDog Toolkit - iOS System Recovery program will fix your iPhone device into its normal state in the safest and fastest way possible. Have this downloaded and we assure you that you are going to get what you deserve. Click this player below and watch how the FoneDog iOS System Recovery work for you to fix iTunes not connect to iPhone when the value is the missing problem. > iTunes > iTunes Could Not Connect to This iPhone. The Error Repair!